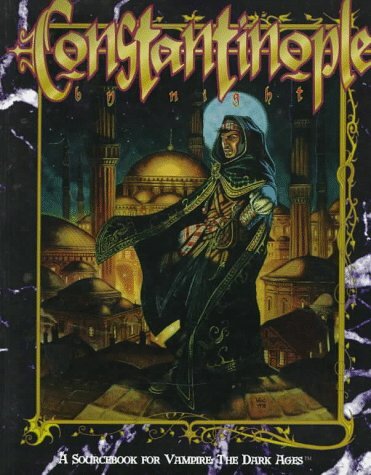 In this episode, we discuss the first city sourcebook for Vampire: the Masquerade - Constantinople by Night. Constantinople is one of the richest and most powerful cities of the Dark Medieval era. This book was written by Philippe Boulle, Joshua Mosqueira-Asheim, and Lucien Soulban and published in 1996 for White Wolf Game Studios. If you like our podcast and you’d like to support us, think about backing us on Patreon. We offer a ton of rewards like additional podcasts only available to our patrons, T-Shirts, stickers, and custom gaming experiences! Check it out and help us grow our show! Support us at our Patreon or donate to our podcast via PayPal! Click here to purchase via DriveThruRPG and help the show! The greatest city of the medieval world, domed Constantinople is a lodestone for the vampires of the Dark Ages. Immerse yourself in intrigues ancient and contemporary as you traverse the labyrinthine streets and torchlit bazaars of Byzantium's wonderous capital. But beware: yours is not the only hunger in the East that demands to be sated.